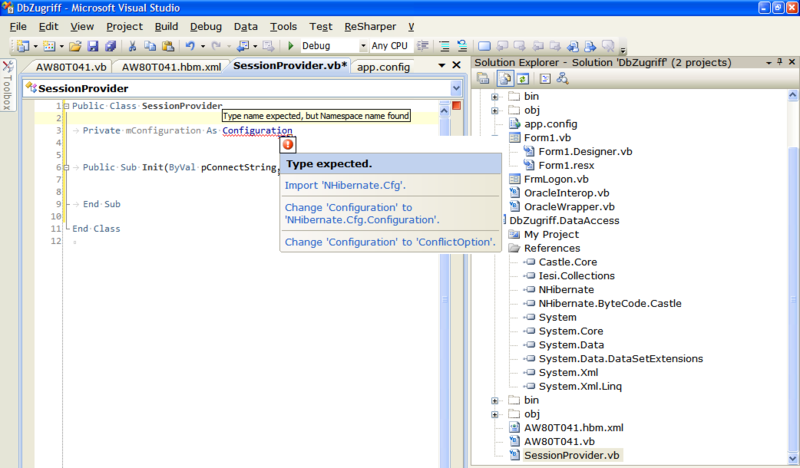 I'm just writing a little test code to see how i may use NHibernate with my application. As i declared a variable with a type from NHibernate namespace R# doesn't offer me to add an using statement (neither through a light bulb nor through Alt-Enter) but VS do. I have mixed R# error and VS suggestion in the screenshot to show the problem.